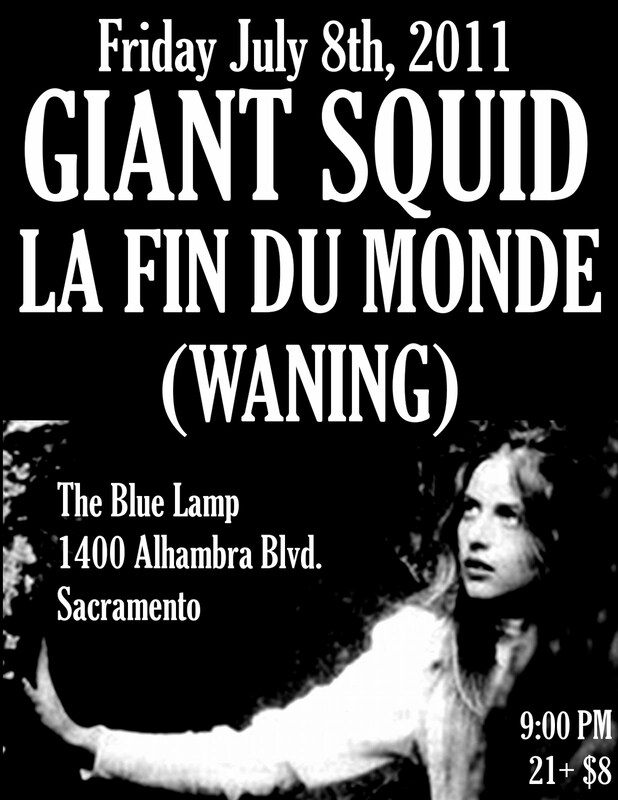 We are excited to be playing with GIANT SQUID, who in our humble opinion, are one of the greatest Sacramento bands (although they've since defected to San Francisco, Sacramento's cooler older brother). It will also be at the Blue Lamp, a nice midtown location, in case you skipped driving all the way to Woodland for our last show. Also on the bill are LA FIN DU MONDE, total crushers in their own right. There are still some copies of the "Live in Studio A" CDr left, so come by and check us out!